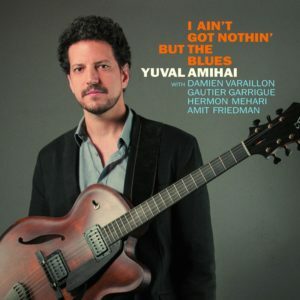 Yuval Amihai is a young Jazz guitarist who continues to have an increasingly promising career. He came to the showroom to record a Guitar-in-Hand interview to talk about his latest album, I Ain't Got Nothing But The Blues, which is a treat. As an added bonus, the club members will be able to watch a solo session of improvisation by Yuval.